How Stringent Should a First-Ever Model Green Construction Code Be? You can probably guess that the question of “how far to go?” with this first-of-its-kind national model green construction code attracts a lot of varied answers. In fact, this may be the biggest and most unanswered question surrounding green building code development. The question of where the green building code should fall on the stringency continuum (originally posed in a previous post) should be considered against the outcomes of similar code and standard processes that have asked the same, seemingly simple question. USGBC, ASHRAE and IES started this conversation in late 2006 and resulted in today’s Standard 189.1, a strong compliance option within the International Green Construction Code (IGCC). And while everyone knows that that precedent doesn’t necessarily make it right, it should be helpful that a compliance option of the IGCC already sets certain targets. No matter the complexity of the debate (and debate it they did at the IGCC hearings last week in Dallas), it comes down to a choice between a green building code that takes either (what I’ll call) a big leap or a small step. The current versions of the IGCC and the Standard 189.1 compliance option provide more than sufficient fuel for a local conversation about what is best for your community. Every community should take a look and see how these better building practice ideas (written in the form of building codes and standards intended for increasing fundamental protections from the hazards of our built world) can be woven into your master plan – even if only to take action next year or even later. So, big leap or small step? On the one hand, it’s a lot easier to winnow the code down to your comfort level than to figure out how to ratchet it up – but even ratcheting down can be a tricky exercise. People who have been in code development for decades longer than I have will tell you that given the amount of thought that’s put into every last interrelated detail, it’s better not to change a thing.. On the other hand, if the code is unreachable (or is perceived to be so), it may not be used at all, or at least not like a code – the way it is being very carefully written to be used. In this second scenario, it is argued that the code may not achieve its maximum potential of giving everyone a little push (rather than giving very few a big push). As logic would have it, it’s neither a big leap nor a small step, but it’s very likely somewhere in between. There are a couple of ways to pinpoint the best stringency level, but the truth of the matter is that green building has always been the product of community dialogue. So fear not what you hear about technical development schedules and degrees of “completeness.” By their very nature, these tools will always be under development and maintenance, but the tools are here today and the time for action is now. Has your community commissioned a task force to review how it will broaden fundamental protections by greening its codes? Michael is chief sustainability officer at Turner Construction, one of the biggest construction companies in the U.S. Turner has completed almost 200 LEED-certified projects valued at $10.5 billion and the company has another 230 LEED registered projects valued $16.5 billion in progress. The New York-based firm employs more than 1,200 . LEED-accredited professionals, more than any other organization. “The only excuse for not building a LEED building is ignorance,” Michael told me when we met last week in Washington. Here’s a look at a Turner project, a health services building at Yale University. Michael took an unusual route into the construction industry. A native New Yorker, he went to college at the University of Colorado, thought about becoming an architect and ended up winning a scholarship to the Joffrey Ballet school. He became a member of the Paul Taylor Dance Company and performed on Broadway before hanging up his ballet shoes. “I hit 35. I saw where the career was going. I saw where my body was going. It was time to grow up,” he said. He went back to school, earning a master’s in historic preservation from Columbia, and worked for a time for the city of New York and its public libraries. He joined a construction firm called Bovis, and moved to Turner in 2004 after hearing that the company saw the green-building trend as a growth opportunity. It has paid off in a big way. Green building represented 17% of sales for Turner in 2005; it grew to 46% in 2010. The firm completed $1.3 billion of green work in 2006, $1.8B in 2007, $3.0B in 2008, $3.6B in 2009 and $4.2B in 2010. The work is spread across education, health care, government and commercial buildings. “What other segment of the market has improved, year by year, by hundreds of millions of dollars?” Michael asks. Is there a bright spot in this recession? Related to buildings, particularly, one would be hard-pressed to find one as most new construction markets have either slowed considerably or stalled completely. Given the downturn, more building owners and managers are seeking ways to improve their existing properties both to attract and retain tenants and to realize savings from energy and other retrofits. A bright spot? Perhaps. Government programs like President Obama’s recently announced Better Buildings Initiative and the regional U.S. Department of Education-funded Chicago Region Initiative for Better Buildings point to the growing trends at the federal, state and local levels to increase the rate of building retrofits to save energy, and consequently, money. The LEED for Existing Buildings: Operations and Maintenance rating system provides a comprehensive roadmap to help building owners and managers create programs and processes to reduce energy and water consumption, increase recycling and reduce waste, improve purchasing practices and create a conducive environment for building occupants, all the while saving money and resources. Building tenants and prospective tenants are taking notice as recent research indicates that green buildings capture top rents, increase lease velocity, attract Class A tenants and safeguard against obsolescence; all critical elements for a building to have in a competitive market. Green buildings also have higher occupancy rates ranging from 4 to 8 percent. Approximately 44 percent of tenants in a recent survey said that environmental considerations were important to their companies and 25 percent said that green building practices were important in their space search. Green buildings also have positive effects on their occupants. In another recent study, 85 percent of employers survey noted perceived benefits in employee turnover, morale and recruitment related to occupying a green building, while 55 percent noted a direct correlation with employee productivity. Currently more than 20 percent of all LEED registered and certified projects nationally are LEED for Existing Buildings. In Illinois, LEED for Existing Buildings projects account for 13 percent of the 440 LEED certified and 960 registered projects across the state. Nationally the amount of square feet of space certified under LEED for Existing Buildings: Operations and Maintenance grew by 75 percent from 2009 to 2010. Obviously news is spreading and the trend toward LEED for Existing Buildings certification is growing both nationally and locally. The Regional Green Building Case Study report to be released by the U.S. Green Building Council – Illinois Chapter in early June finds that out of the buildings studied, Illinois buildings certified under LEED for Existing Buildings perform on average 25 percent better related to energy utilization than comparable buildings. Given that LEED for Existing Buildings focuses on actual building performance over time, participation in the process engages building owners and managers to continually improve performance. With the economy improving slowly, building owners and managers will increasingly look for ways to reduce operating costs to improve the bottom line. LEED for Existing Buildings: Operations and Maintenance is a growing trend and comprehensive tool for increasing value and tenant satisfaction while reducing a building’s environmental impact. Today USBGC along with more than 70 organizations, companies and advocacy organizations sent a letter to the Senate and House Appropriations Committees urging that Congress restore funding for the Commercial Building Energy Consumption Survey (CBECS), a national survey that gathers statistical information on U.S. commercial buildings, at the Energy Information Administration (EIA). The letter was drafted and circulated by USGBC, the Natural Resources Defense Council (NRDC), the Real Estate Roundtable (RER) and members of the Real Estate Network for Energy and Climate Policy (RENECP), a network of professionals who support comprehensive clean energy and climate policies that advance building and location efficiency. CBECS, a little known acronym outside of the building industry, has a huge impact on the real estate community as it is the data backbone of important programs such as LEED for Existing Buildings and ENERGY STAR. The recent budget compromise brokered by Congress and the White House cut EIA's funding by 14 percent. Because of the size and the timing of the budget cut EIA chose to suspend its work on CBECS for 2011. Signatories of the letter, representing a diverse group of national buildings organizations, commercial real estate owners, architecture firms and advocacy organizations, urged that funding be restored to CBECS to ensure that chances to increase efficiency in commercial buildings are not squandered due to lack of meaningful comparative data. The committees of jurisdiction are expected to consider funding for EIA in the coming weeks. I spent a little more than two days in Dallas this week at the public hearings for the International Green Construction Code. You, too, can tune in and watch them online. You may want to have the reference material handy and – unless you find this stuff as interesting as I do – some toothpicks for your eyelids and a big cup of coffee. The hearings run from 8 a.m. to 9 p.m. daily and are scheduled to last through Sunday. The debate has been split into two concurrent groups – energy & water and everything else. If you’re more casually interested in diving into some of the code’s subject matter in greater depth, tune into the Green Building Law Update’s series on the IGCC. The International Code Council’s code development process allows any I-Code to be publicly scrutinized and debated. This week’s hearings are battling some very tough questions as the second version of the IGCC is revised one last time prior to November where the ICC’s government membership will have the final say. The good news is that by and large the Committees (General and Energy/Water) are honing in on a more finalized version of the code’s content. Their decisions seem to be generally following both the momentum of previous IGCC development decisions and reasonable written and verbal testimony from the building community. This means the outcome at the end of this week should be (in theory) even more buttoned up and increasingly responsive to the community’s input. [See here for a running list of results, but be forewarned: it’s code… in code]. If the IGCC is to provide regulatory language that raises the floor for all buildings, what should or should not be included in its scope? How do we define and address the many attributes of green buildings that are still foreign territory for the majority of the audience of this code? And the biggest elephant in the room: How stringent should a first-ever model green construction code be? How would you answer these questions? I’ll explore them in my next few posts. At USGBC’s 9th annual Government Summit last week it was as clear to all in attendance that governments at every level are leading by example in building sustainability. Among the signs of progress was Secretary of the Navy Ray Mabus announcing an increased commitment by the U.S. Navy and Marines to build to LEED Gold, up from their previous LEED Silver commitment. We also saw USGBC award the 2011 Federal Green Building Leadership Awards to both Kathleen Hogan and the ENERGY STAR program for their foundational work. Attendees received an update from the White House Council on Environmental Quality Chair Nancy Sutley on the President’s Better Buildings Initiative. The fighting spirit of our government employees as they look to meet the challenge of building energy efficiency and sustainability was plain to see, in sharp contrast to the attitude displayed a mile away at the Capitol. Perhaps most uplifting was the closing plenary, which featured world-changing energy efficiency scientist, advocate, and former California Energy Commissioner, Dr. Art Rosenfeld and the Governor of Maryland and former Mayor of Baltimore, Martin O’Malley. The timing and content of their presentations drove home a point that often gets lost in the everyday noise of politics – that government, when advised by science, can be effective in everything from reducing energy consumption to fighting violent crime, and can be open and accountable to the people they govern. Dr. Rosenfeld told the story of testifying in California in the late 70’s, where he made the then-revolutionary claim that energy efficiency could stop the ever growing need for more power plants and more fossil fuels. The truth of this claim is plainly evident today, as California’s per capita energy consumption has been maintained from that point forward, while doubling in the rest of the country. This is a clear example of a state government honestly assessing the direction in which they were headed and acting on the science clearly presented to them to change course. Dr. Rosenfeld then explained a new opportunity to change course at the global level by presenting his most recent research on the "global cooling capacity" of white roofs that, by reflecting light (and thus, energy or potential heat) back out of the atmosphere, are offsetting greenhouse gas emissions to the tune of 10 tons of CO2 for every thousand square feet of white roof. Dr. Rosenfeld added that the CO2 emissions from half the cars in the world could be offset for 20 years if all urban flat roofs worldwide were white. Governor O’Malley followed Dr. Rosenfeld with present day examples of how Maryland is reacting to the reality his state’s needs and using GIS technology to deploy resources to where they are most needed. The Governor showed the evolution of a map of locations of violent crimes in Baltimore and you could see how the city became safer every year. Maryland is now applying this approach across the state, from the cleaning the Chesapeake to encouraging green buildings. Real results will trump partisan bickering every time, and in the case of Maryland we can see these results in the green building world, as the state has more than 28 million square feet of certified commercial space. We expect this success to continue, as the day before the summit, the Governor signed a bill that made Maryland the first state to enable the adoption of the International Green Construction Code as a minimum building code. The idea of accountable, results-based government is certainly a breath of fresh air in today’s political climate. I’d venture to guess that the standing ovation that followed these presentations demonstrates that the Government Summit attendees felt the same way. Next year, when many of these same folks gather together at the 2012 Government Summit, there certainly will be more green building dots on the map and many more positive results to celebrate. With the backdrop of USGBC’s eighth annual Government Summit, Senator Tom Carper (DE) announced the introduction of the Reducing Federal Energy Dollars Act of 2011, which aims to improve the operations of owned and leased federal buildings. "Given the tremendous budget challenges we face, we need to look at every nook and cranny of the federal government for savings," said Sen. Carper, Chairman of the Senate Subcommittee that oversees Federal Financial Management. "Reducing the enormous amount of money we spend on energy use in the federal government is one clear way we can cut costs. President Obama has set clear and ambitious energy reduction goals for federal agencies and we need to make sure they have all the tools and resources they need to reach them. Already, federal agencies are pursuing many ideas and technologies to reduce the amount of energy they consume, and adopt renewable energy such as solar panels on top of federal buildings. These proven technologies have resulted in financial savings that have more than paid for the initial financial investment. My bill would not only help agencies save money but also allow the federal government to lead by example in becoming more environmentally sustainable and less reliant on foreign sources of energy." The bill aims to expand utility savings through a number of strategies utilized by some government agencies and by private industry. For example the bill ensures that federal buildings and future federal leases go through commissioning or “tune-ups” on essential building systems to maximize performance. In recent testimony before the Senate Environment and Public Works Committee USGBC highlighted commissioning as arguably the single most cost-effective strategy for reducing utility costs in buildings today and encouraged its use as a key stragety toward greening the federal buildings stock. The bill would also makes common-sense improvements to existing laws to ensure that the federal government can respond to challenges in improving existing buildings and in the construction of new facilities. Among other provisions the Reducing Federal Energy Dollars Act of 2011 would also allow agencies to review and update project plans that may have been sidelined due to lack of funding. This ensures that projects are utilizing the most up-to-date technologies and practices in enhancing federal facilities. In an endorsement letter from USGBC Vice President of National Policy Jason Hartke praised the bill’s introduction. Introduction of this legislation is the most recent effort of Carper’s to enhance the performance of federal buildings. In the 111th Congress Carper was the Senate’s chief advocate for the Federal Buildings Personnel Training Act of 2010” The bill, which became law last year, ensures that the workforce performing duties federal facilities have demonstrated training to perform tasks like operations and maintenance. When Governor Martin O’Malley signed MD HB 972 into law today, Maryland took a critical step toward completing the backbone of the green building policy puzzle. Put simply, Maryland now has three critical policy levers working in tandem (note the LEED and Green Building Codes policy brief): leadership by example commitments to building beyond code to greener building standards (existing in Maryland), incentives for beyond-code green building leadership (a patchwork exists in Maryland), and improved code minimums for all (new in this law). This act makes Maryland the first state in the nation to enable the adoption of the International Green Construction Code (IGCC) by all local governments across the state – the first state in the nation to really get it right1 – and the second state in the nation to enable a framework for statewide adoption of green building codes. This victory is a testament to the sophistication and active engagement of USGBC’s green building community in the Old Line State – largely coordinated by USGBC’s Maryland Chapter. But even so, the majority of our community’s agenda in Annapolis did not survive the legislature amidst this year’s challenging political winds. Significant losses included sensible policy initiatives with broad support, such as the expansion of the State’s existing High Performance Buildings Act to include state-funded buildings greater than 100,000 sq. ft. and also building energy disclosure for certain commercial buildings. 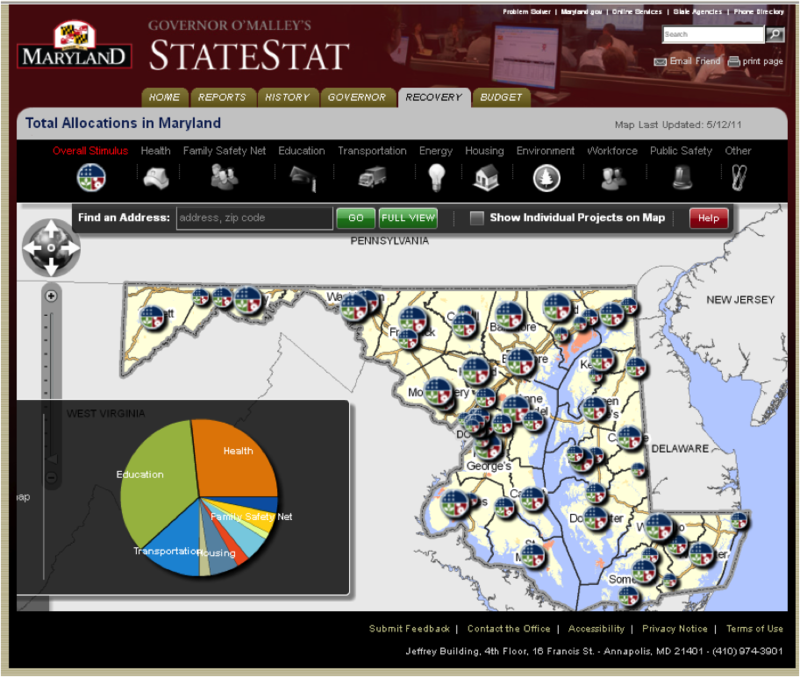 Maryland’s code adoption is not a mandate from on high, but instead an endorsement and a strong nudge for both the Maryland Department of Housing and Community Development (MDHCD) and local jurisdictions to strongly consider mandatory adoption of the code (note that the enactment date of March 2012 targets the launch of the fully-vetted 2012 version of the IGCC). The nature of this policy outcome is significant, given that town halls and county commissions were the first public forums for green building policymaking. Sustainability planning has always been a local conversation, and few states are better positioned to have a healthy dialog based on experience and results than Maryland. Governor O’Malley’s leadership on green building makes us proud to have him in Washington, DC tomorrow to keynote the closing session at USGBC’s Government Summit. The Government Summit is the green building community’s premiere forum for the implementation of the myriad government green building programs that have catalyzed the market uptake of green building technologies, materials and methods. So in this next phase of consideration, what can we say about green building codes and the value they bring to the regulatory fabric of a state or local jurisdiction? Fire safety, structural safety and fundamental access to sanitary conditions are comprehensively addressed in the scope of the codes (fire codes, building codes, electrical codes, plumbing & mechanical codes, etc. and the many standards on which they each rely). Even building energy efficiency is an area that is being increasingly addressed in the codes, and a lot of research and publications are being developed by the National Labs to improve energy code compliance. Of course, as I mentioned in an earlier post, green building rating systems such as LEED pull much of this conversation along and continue to raise the bar for realizing building efficiency potential (for both new and existing buildings), as my colleague Lane Burt points out in his recent entry. USGBC’s next phase of work includes stepping farther still as our community of experts revises and improves LEED’s next version. Green building policy introduces a broader scope of building-related activities that deserves attention beyond the altogether important increases in stringency of existing activities that are being regulated (note that even building energy codes are certainly not yet universal). New categories of risk introduce a deeper dimension of protections to human and environmental health. Green building codes offer a means for state and local governments to introduce these fundamental protections and empower local building/planning/zoning departments as a critical force in tapping the potential of the built environment to help us achieve a safer, healthier, more efficient and environmentally responsible world. For more information on USGBC’s work on codes and standards, see USGBC’s white paper and policy briefs on LEED and the codes. 1 – Note: The State of Rhode Island’s 2010 reference to the IGCC, while an important recognition for the document as a tool for state policymaking, confuses the role of rating systems and codes. USGBC supports the mandatory adoption of the code for all buildings in a jurisdiction alongside complementary beyond-code leadership initiatives for government buildings (benchmarking with rating systems like LEED) and private sector incentive programs (also based on rating systems like LEED). USGBC explores this in a policy brief, entitled LEED and Green Building Codes. Thus, as has always been the case with codes and regulations, all buildings are subject to minimum code requirements, and as a complement, voluntary, beyond-code leadership is recognized through third-party verified green building rating systems. There are a handful of other instances of this “adopting code as voluntary” oxymoron that I will explore in a later post. I am doubly blessed and privileged to have both a green job and a globally focused role at USGBC. The increasingly world-wide green building community is making the planet feel a lot smaller and more hospitable these days to those committed to the mission of USGBC and like-minded groups. A trip I took to New Zealand and Australia last month highlighted that reality in a very vivid way. In the “small world” department, please allow me to relay a short personal story. In late February my college-aged daughter was beginning her junior year abroad enrolled at Canterbury University in the city of Christchurch on the South Island of New Zealand. That would be the Christchurch that experienced the heart-rending earthquake on Feb. 22. Long story short, my daughter is just fine and was moved to University of Otago in Dunedin, a few hundred miles south of Christchurch. Because of my previously scheduled travel I was able to show up just days after the disaster and offer my daughter the emotional comfort food of a familiar face during an unfamiliar kind of trauma. The extreme distance between Washington, DC and the south Island of New Zealand was bridged by the miracle of air travel. But in my case, it was also bridged by my work connecting with and supporting green building leaders across the globe….including in New Zealand. With that story as a backdrop, let me offer some reflections on the broader trip, reflections spurred in part by my chance reading (during my return flight) of the Oxford University Press’s Very Short Introduction to Utopianism. The pamphlet-sized book points out that Australia has more examples per capita of “garden communities” and other experiments in implementing visions of a utopian future than any other country except Israel. By that measure, it seems New Zealand was third in line. It struck me that the feeling of being at home away from home in New Zealand, that I tried to communicate to my daughter, was one I was beginning to feel myself in a quite profound way. But what I was feeling was not just the special comforts of a shared language but also a common instinct that we need to make our brief time on this planet everything that it can and should be, and we need to start by living our ideals at home in our own communities. At the U.S. Green Building Council that means being ambitious (and yes a tad utopian) about how we build, operate, live in and work in the buildings and communities that are such a large part of our lives. That is a commitment fully shared by both the New Zealand and Australian Green Building Councils. But it is also the reason behind the growing success of the World Green Building Council. Is it a coincidence that organization is today chaired by a very forward-looking Australian, Tony Arnel, and run day-to-day by a wonderful chief executive officer from New Zealand, Jane Henley? I think not. While in Australia, I attended the board meeting of the World Green Building Council. There were representatives from Japan and South Africa among other countries. And it turns out the WGBC now has affiliated councils in 70 countries. As I read over Tony Arnel’s bio on the website in preparation for the meeting, I was particularly impressed by the paragraph noting that, “Tony has led national and international sustainability debate, particularly in the Asia-Pacific region, advocating sustainable building as a means of reducing greenhouse emissions without impacting economic growth.” The bio goes on to note that, ”In Asia, he has played a leading role in developing and nurturing key regional green building councils such as Singapore and China.” Of all the exports of Australia, the one that may have the most lasting impact in Asia is its proven commitment to greener buildings and communities. Hosting me for the majority of my trip was Romilly Madew, the charismatic CEO of the Australian Green Building Council. She has helped build the organization membership and its ubiquitous Green Star rating tool to the point where virtually all new commercial construction in Australia’s major cities is now built green. She also chairs the World Green Building Council’s rating tool committee. Finally, I would be remiss if I didn’t offer a taste of some of the exciting sustainable development projects underway in Australia. Most interesting to me was a huge new project for Sydney named “Baranagaroo” after an Aboriginal woman who lived in Sydney during early white settlement. Sometimes referred to as Sydney’s answer to New York’s Central Park, the $6 Billion (Australian dollars) project being developed by Lendlease is planned to take over 20 Hectares of under-utilized land and turn it into sprawling parkland surrounded by offices, apartments, hotels and shopping. All built, of course, to a robust green standard. Exciting stuff in a part of the world I felt very privileged to see. The green building code conversation has gathered some impressive momentum since last year’s joint release of the International Green Construction Code and Standard 189.1. A handful of jurisdictions have already committed to study how they might implement this set of codes and standards (in the IGCC’s Public Version 2.0, Standard 189.1 is included as a jurisdictional compliance option of the IGCC). So amidst this growing interest, we are responding to the demand from our community for more clarity and guidance on this subject – hence the following two resources. This two-page policy brief is an extension of the Greening the Codes white paper that intends to more succinctly answer the question that policymakers so often ask; “How are green building codes and LEED intended to be used as policy levers?” That we’ve seen a series of “voluntary adoptions” of the IGCC adds more confusion than clarity, since codes by their very nature are mandatory minimums. USGBC actively promotes that jurisdictions consider weaving green building codes into existing regulatory minimums. But a raised floor is still a floor all the same, and beyond-code leadership with LEED remains an important piece of the green building policy puzzle. This leadership is best demonstrated by commitments for public buildings and incentives for the private sector to step above and beyond. Click here to view all USGBC fact sheets and policy briefs, including LEED and Green Building Codes. May 2011 Update: A lot has happened since the first publication of this white paper in June of 2010. Since then, the nation’s first statewide green building code has gone into effect in California, ASHRAE has developed and published addenda to Standard 189, the International Green Construction Code has undergone two rounds of public comment, and LEED’s next version also began its public review. State and local jurisdictions have also begun seriously considering green building code adoption, and – with varying degrees of commitment – some communities have embraced these new codes. Amidst all the technical development, the government adoptions of these tools and the media that has been tracking the progress, the underlying vision of this white paper, the direction of USGBC’s work, and USGBC’s commitments to a collaborative, sustainable future are still very much constant. Click here to read the updated white paper, Greening the Codes.